Here we are going to show how VoLTE and Rich communication makes bright future for mobile communication, data network by studying their advantages over the traditional 2G or 3G network. VoLTE or voice over long term evolution is the technology of modern mobile communication system. Now in 4th generation technology, smartphone network uses VoLTE for giving customers the better services in both video voice call and data services. Most of the smartphone networks changed to VoLTE along with the network, there are many apps are launching that performs well in VoLTE Technology. VoLTE is future network for mobile communication. VoLTE Provides high quality standard services in terms of Voice data packet for both video and audio conference. High quality signals in communication delivers the high quality services. No chance to get the noise while making calls. Call drop chances are comparatively small. VoLTE stands for Voice Over Long Term Evolution. It is voice call services that uses 4G network. 2G and 3G network uses LTE to carry voice call in between network. In addition to calls VoLTE provide high quality streaming of videos, downloading etc. 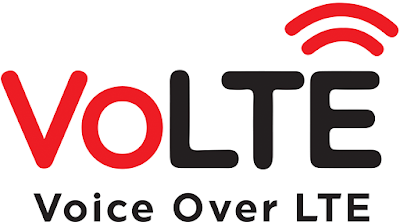 Now in indian market almost all smartphone networks has changed to VoLTE as Reliance Jio Introduced first time with their Jio 4G network with power up VoLTE Features. The technology uses the more penetration power signals to get improved communication. These signals may penetrate the physical things to reach the destination devices so that there is much more powerful signals to get the high quality services. There are so many advantages while using VoLTE. Better communication is one of the valuable advantage. The Rich Communication Services (RCS) is based on VoLTE this enabled to add special features on the apps that supports RCS. Participation of more users for the single conference call whether it is video call or voice call. This is part of communication system along with VoLTE and mainly focused for text messaging services. Text messaging with some apps like whatsapp, messenger, hike, wechat, Jio4GVoice etc. The cool features added with this RCS and VoLTE is to getting the high quality video and voice conference call. These can be deployed in connection with the video calls over Long Term Evolution and RCS multimedia services, including video share, multimedia messaging, chat and file transfer. And one another property in using RC and VoLTE is the interoperator support. No matter which network you are using. Applicable for all the network. And one another tested fact is that while using the technology, we can improve the battery life up to 40 percent. Also Provides a more efficient use of spectrum than traditional voice. Now Android communication apps like chat apps, video and voice calling apps etc are working that uses RCS and VoLTE to get HD video and voice call. Reliance Jio4GVoice apk is such kind of app the developers are the mobile network company designed exclusively for their customers since they are using VoLTE in their operation. So many apps like whatsapp, WeChat, etc are also available but they give poor performance when they are operated using 3G or 2G network. Now many smartphone manufacturers releasing smartphone that is VoLTE enabled. When VoLTE first introduced, there were companies only provides the slot 1 for the 4G SIM or VoLTE enabled so that the VoLTE services can be only available when we insert on SIM slot 1. Now , companies uses both sim slot for 4G enabled. Almost all internet service providers are changed their network from slow 3G network to VoLTE 4G network and so many apps are working for fast communication, data usage etc by using VoLTE Network. https://jio4gvoiceapk.in/ is the source you can be able to download the VoLTE apps owned by Reliance Jio for fast communication via high definition video and voice call. This makes new history as Reliance Jio is the brand new mobile network first time introduced the VoLTE network in india and its appropriate apps for their users. Please comment if you have any issue we will try our best for you..